Synthetic Gypsum Based Fiber-reinforced, Self-leveling Compound especially suitable for wooden floors as well as other critical substrates designed for refurbishment work in interior areas. Embedded fibers provide a reinforcement making it unnecessary to lay a reinforcement fabric. 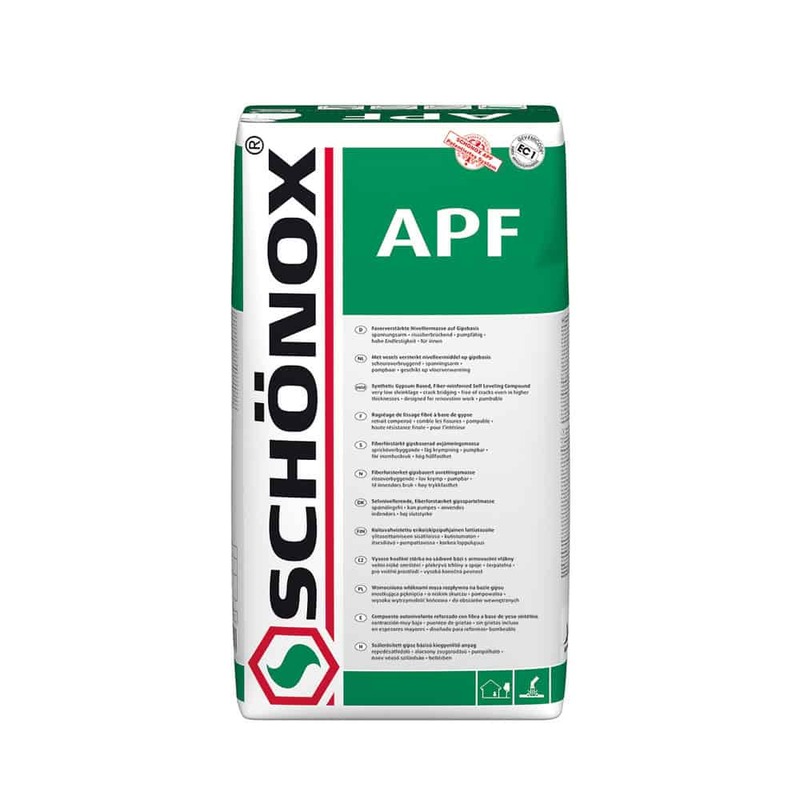 Schönox APF is installed above 1/8″ up to 1″.